Minesh is a 9 year old boy. 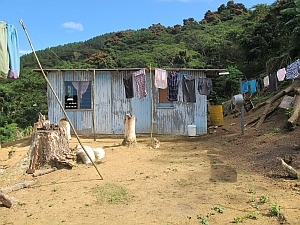 Minesh’s family live in a make shift dwelling on the side of a hill. They have built it themselves from scrap iron sheeting. 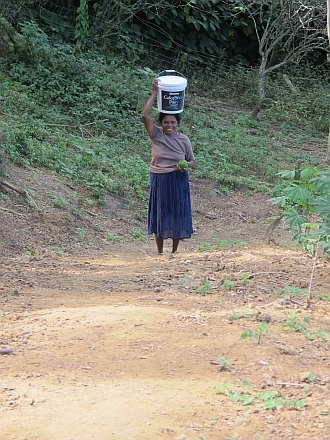 They walk down a very steep track to collect water from a neighbours well and carry it back up in huge heavy containers. We have witnessed this and it looks exhausting. Minesh, his little sister, grandmother and 2 parents share 2 rooms. His parents work as casual labourers on the farm nearby earning $10 a day for the back breaking work of hand picking vegetables. They are very committed to their children's education. 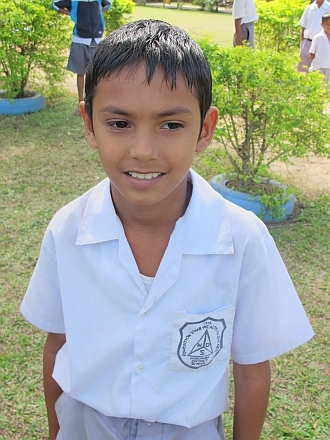 Minesh enjoys attending school and his favourite subject is English. When he is not at school he loves to play soccer and gardening. When he grows up, Minesh wants to be an accountant. This family has recently relocated to the valley due to financial problems. I recommend that Minesh needs financial assistance to help him progress at school. He is one of the neediest ones and deserves an education.